This is the summary of consumer reviews for Whirlpool Duet 3.5 cu. 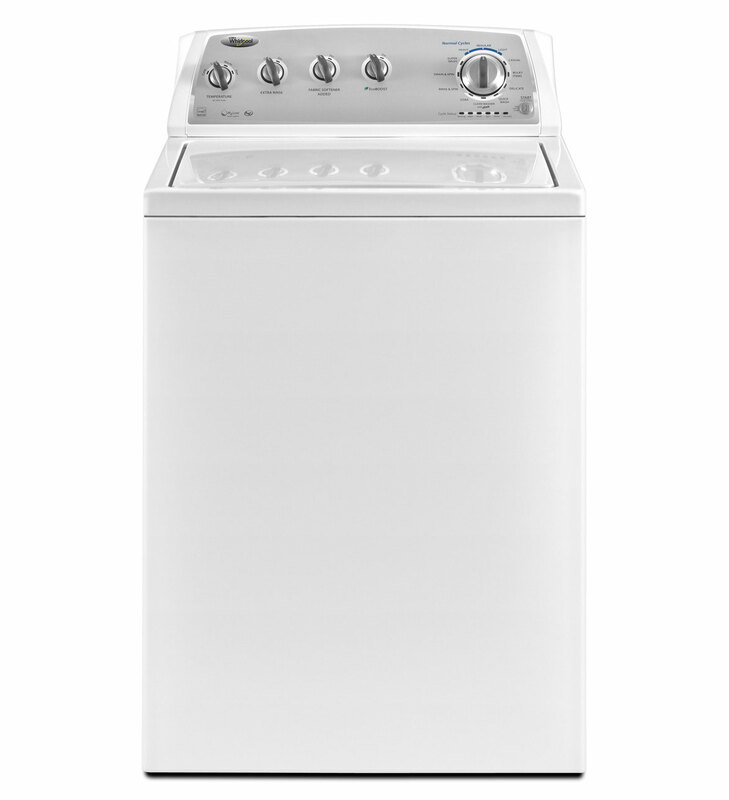 ft. High-Efficiency Front Load Washer in White (Model: WFW9151YW). The BoolPool rating for this product is Good, with 3.80 stars, and the price range is $715-$885. 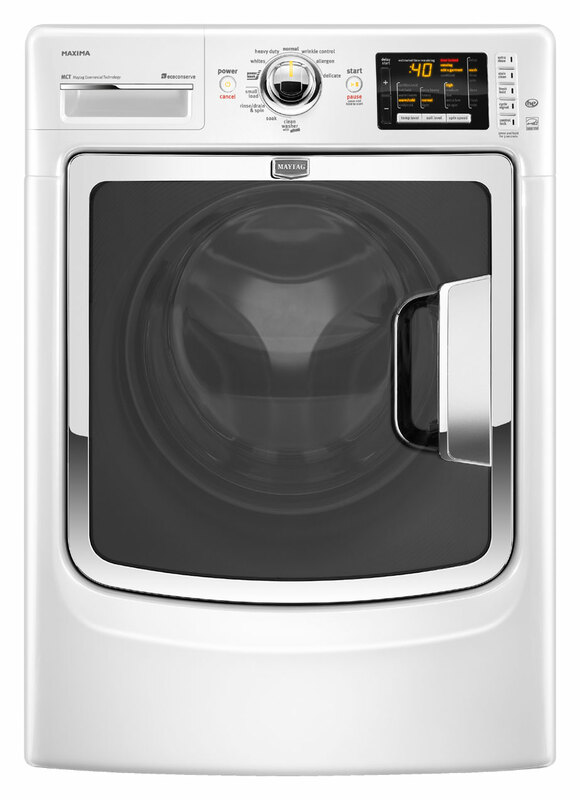 The Whirlpool Duet WFW9151YW is a High-Efficiency Front Load Washer that comes with a variety of features and 12 wash cycles. This 3.5 cu. 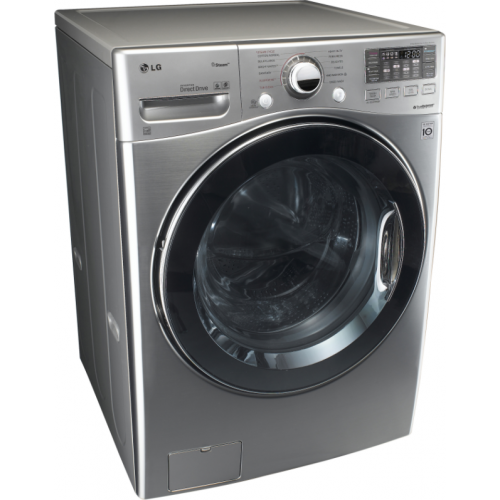 ft. capacity washer Is ENERGY STAR qualified and rated CEE Tier 31 to help conserve water and energy resources and save a bundle on water and energy costs over the life of the washer. This machine is better than top load machines and provides great cleaning and gentle performance. 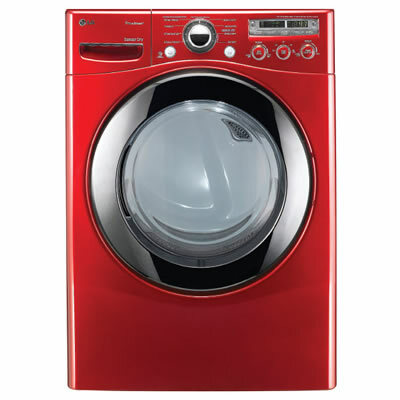 Its "Cold Wash" cycle cleans as well as a warm water wash. 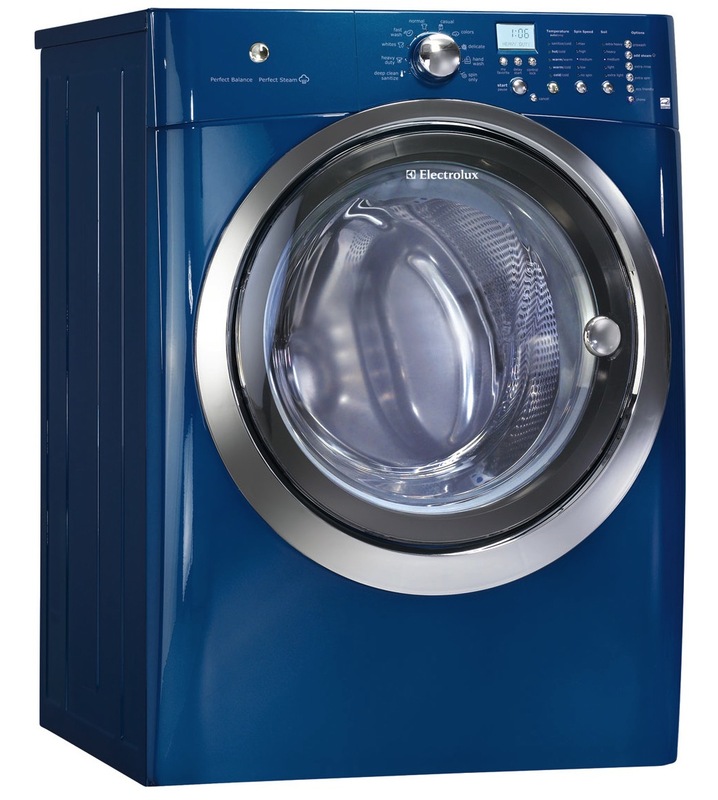 It also has a "Fast Spin" cycle and a great "Tumble Fresh" option that cuts you some slack if you don't load the washed clothes to the dryer right away. The "Delay Wash" options help you efficiently manage your time in the laundry room. 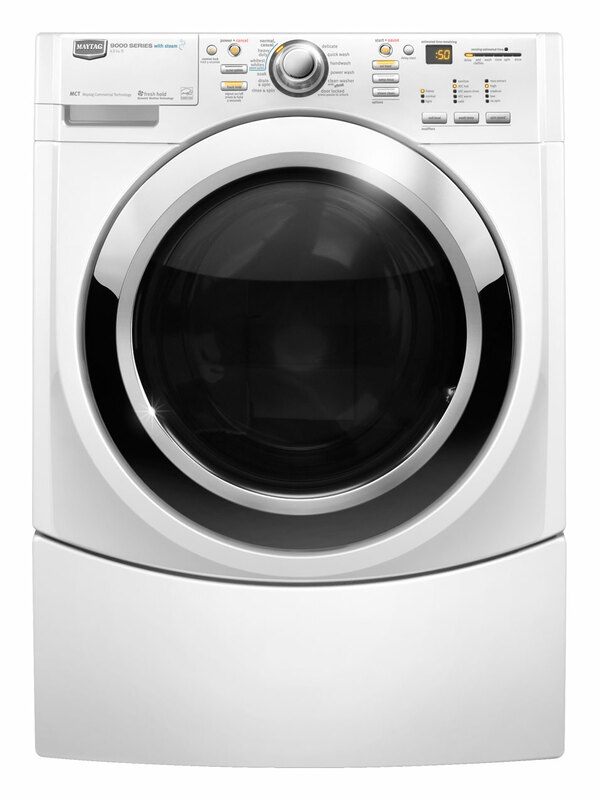 This Whirlpool washer boasts a Quiet Spin Technology that senses and adapts to each load reducing noise and vibration making installation on an upper floor possible. Some users complain that sometimes water stays in the rubber seal and molds over time. Also this washer constantly leaves bubbles after wash/extra rinse cycle even when using less HE detergent than indicated. The machine may get unbalanced while washing or spinning sometimes. It may not spin the water out of big loads effectively. It is a not a fast washer as the cycles are long. One also needs to use extra rinse cycle to get optimal cleaning. 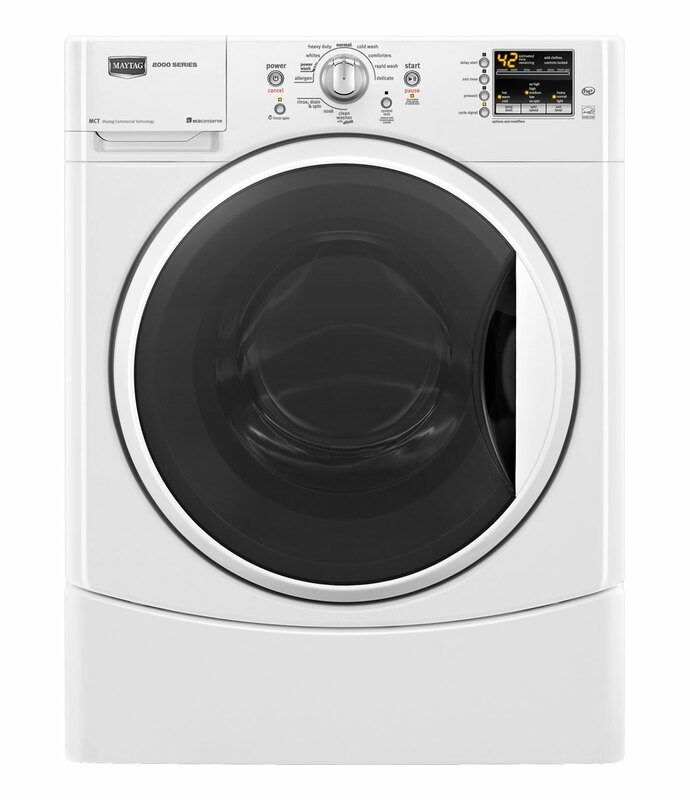 Overall, the Whirlpool Duet WFW9151YW High-Efficiency Front Load Washer cleans clothes well while using less water and electricity. It is priced in mid range and provides good features and value for the money. Some users are not happy with this purchase but most users found this washer a good product and they recommend this to family and friends. Cleans well with minimum use of water. water stays in the rubber seal and molds... real people dont have time to clean the washer after every use!. I love the way this Whirlpool washer cleans while using so little water. Wish to have reversible door . Produce nervousness sound when machine pump out water . The water seal for the tub bearings is prone to developing leaks, and water entry will destroy the tub bearings. It's also energy-efficient and use very little water. numerous features to set just the right setting for your laundry-uses much less water LOVE IT. There's a streak of where the water keeps leaking out and after every load there's a pool of water that sits in the seal right where it leaks as if there's a cup for the water there. Runs well and uses a lot less water than a top-loader. It stopped working 4 months later. I bought my Whirlpool Duet washer from Lowe's and it stopped working less than 4 months later. Works well for us, but have only had it for a month and a half. It's nice to finally have a washing machine that works!. After two weeks, 3 service calls and two replacement parts, my washer still doesn't work. The machines have been working well so far and I do like the various options. It's super easy to use and works wonderfully. I bought the washer-dryer duo a few months ago and haven't regretted it. My clothes come out of the washer almost dry, so the dryer itself has to work less (less energy, lower bills). I loved this washer for the four years that it work, but we've now had to junk it and buy a new one. Seems to wash the clothes very thoroughly. I think this washe does a wonderful job. After every wash there's a pool of water sitting on the bottom of the boot and that's where it leaks. This washer was extremely loud and took forever to wash a load. It fits neatly against the wall, the features are easy to read, and all you've to do is dial what wash load you want, how much time, temperature, and if you want extra rinse time, too. The washing process terminates when this error code appears. Whirlpool products are in my home, great quality! This wash machine has cause us more $$ and headache then any other appliance we've ever owned! I like the ease of a front load washer but it takes to long ot wash. I don't have all day to do laundry. We stack our washer and dryer and the are very quiet! Next purchase will be the dryer. The tumble fresh option is great when you plan not to move your clothes to the dryer right away. 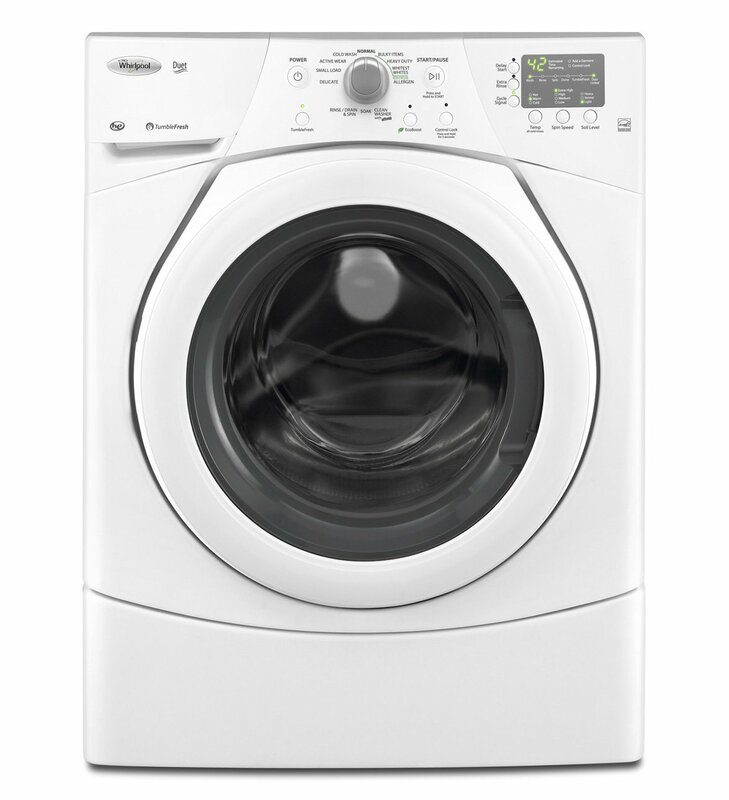 We've had this washer for a year now and my wife & I love it & we also bought the dryer to, it's very quiet and clean I've always been happy with Whirlpool products,I'd recommend this product. We don't have the option to move the dryer, so we've to reach over/around the door to load the dryer. I wish I hadn't been swayed by the look of the stacked washer and dryer and the thought of how much extra space I'd have in my laundry room. It uses very little soap, holds a great deal more clothes, and spins out the water so well that it's decreased the drying time significantly! This dryer was purchased (along with a matching Whirlpool washer). I've noticed quite a drop in the amount of energy saved. I use less electricity, I hear less noise from the pair, they do what you want your washer and dryer to do, more efficiently than the older ones I've had. Gets my clothes cleaner than my top loader ever did. Clothes aren't distributed evenly in the tub to balance loads. I gave this product a good rating because it , mostly, does deliver clean clothes. It gets my clothes so clean. A key feature change I'd like in design would be for the door to fit a little closer to the clothes. Would like a little more time between door lock and fill. Like the high rpm spin when balanced because the clothes come out nearly dry. Excellent washer, saving us so much on energy monthly, and with a household of 5 with three being school age boys with very dirty clothes, we're very happy. i'm doing half the loads I was before and my clothes are cleaner and no where near the same wear and tear that my old top loader caused. The clothing comes out very clean, but I do have to use the extra rinse cycle to properly rinse the clothing. I love it, especially the fast spin cycle. Large loads cause the machine to become ineffective as it won't spin the water out. Love the way it spins the water out so well. From the first useage the washer makes a metallic click, click, click on the spin cycle and as it revs up on the final spin, the machine knocks, bangs and shakes violently. Only drawback is it can be loud on the spin cycle. Previously I couldn't get my clothes dry due the machine leaving too much water in them. 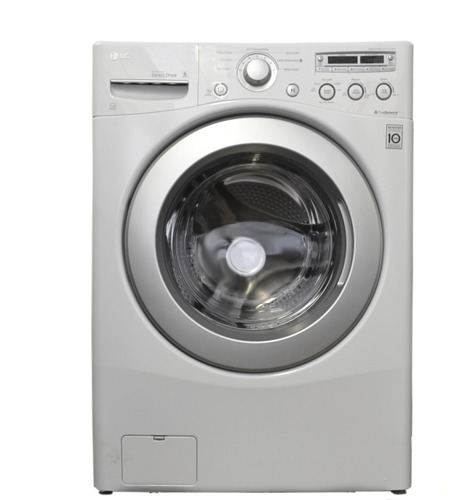 The washer spins out almost ALL of the water and makes the dryer's work so easy. It keeps attempting to spin but can't. You've to shut off the power then choose "rinse and spin only" cycle. Kitchen rugs will toss and toss and the machine gets stuck with 1 minute left on the time. It's quiet, cleans clothes well, and has a lot of cycle options. Washer wouldn't dispense bleach in the normal cycle, bulky item cycle never would complete the wash cycle and is just a very noise machine. functionally it works great and does a nice job of cleaning the cloths with very little sound during the cycle. This front loader cleans excellent , quiet great price energy saver. Con's Start button doesn't work well, Dispensor try sticks, and menu doesn't handle small loads well for the various cycles. I ran a first cycle with affresh to make sure the drum was clean before my first load. there's no way to set the cycle to start where you want it or just rerun a spin cycle. We like the fact that detergent and bleach can be added immediately after the cycle start. Machine constantly leaves bubbles after wash/extra rinse cycle even using less HE detergent than indicated. I don't think it's worth to pay more for LCD screens and such on a machine... really, this machine does the job that it was meant to do and that's to clean. Also there should be a spill valve to clean out water left in bottom of machine. These machines get put through the test. I enjoy using this machine and I've recommended it to my family and friends!. after having top loading machines these prioducts are great. Washer is quiet, clothes seem to come out cleaner than my top load machines I've owned. Washing machine works well but doesn't come with a pedestal which isn't stated on the web site.